On mount below print, photographic facsimile of sitter’s autograph. One of two identical prints of the same photograph; see NPG P77. 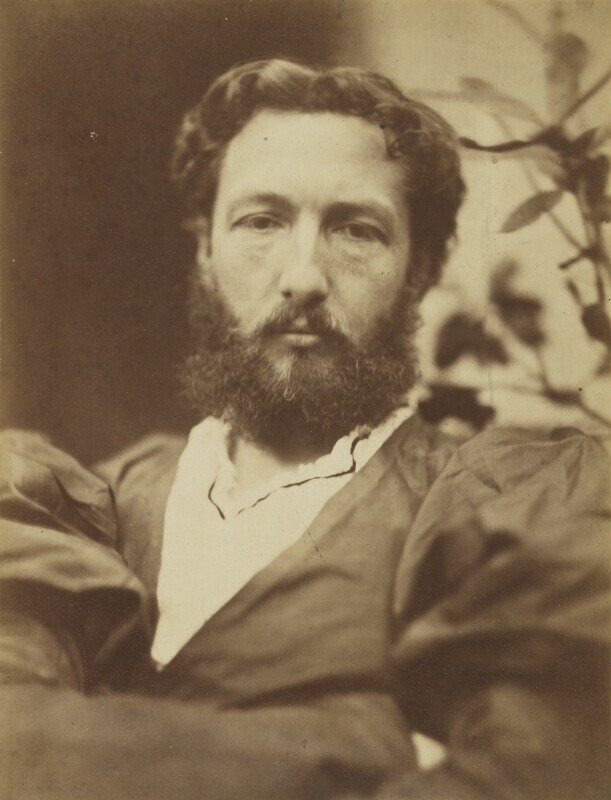 Quarter-length, full-face, with arms folded to the front, full beard and hair with short curls, wearing renaissance-style dress, including a white shirt with ruffled collar and dark over-garment with oversized sleeves. H. Saxe Wyndham by whom given in 1937. LIKENESSES: Portrait Photography in Europe 1850–1870, Art Museum, University of New Mexico, 1980–1981, p.85.